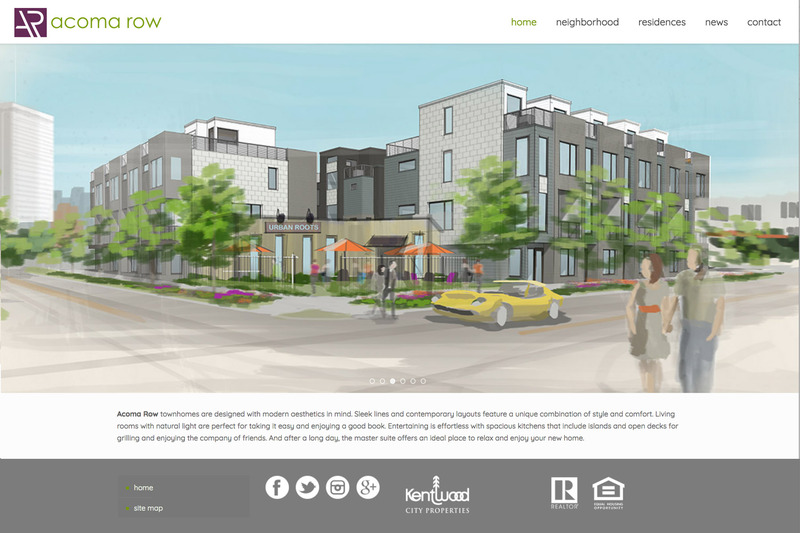 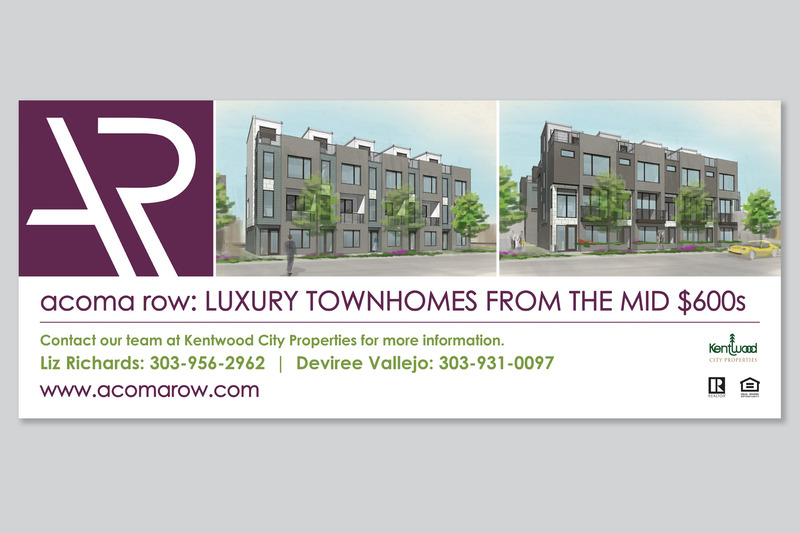 Challenge – Come up with a logo and a brand that ties in with the sleek and modern look of the townhomes at Acoma Row. 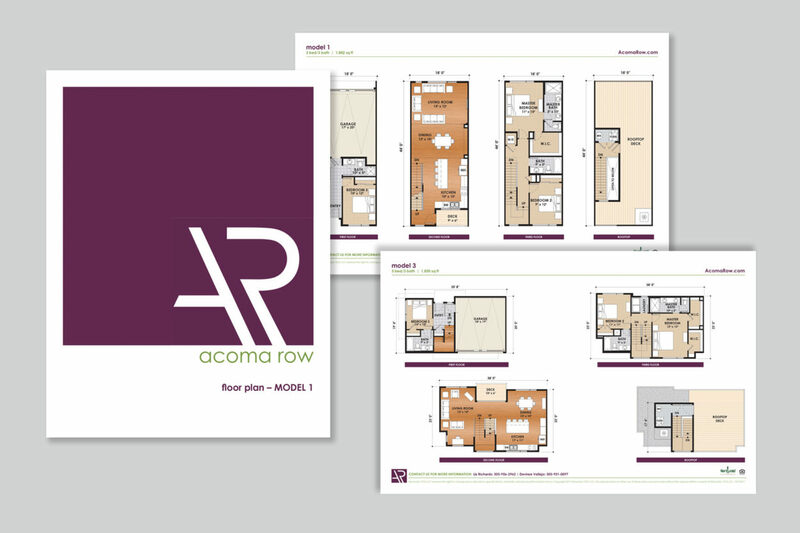 Result – Taking the floorplans and keeping the location in mind, we were able to come up with the simple yet modern logo for Acoma Row. 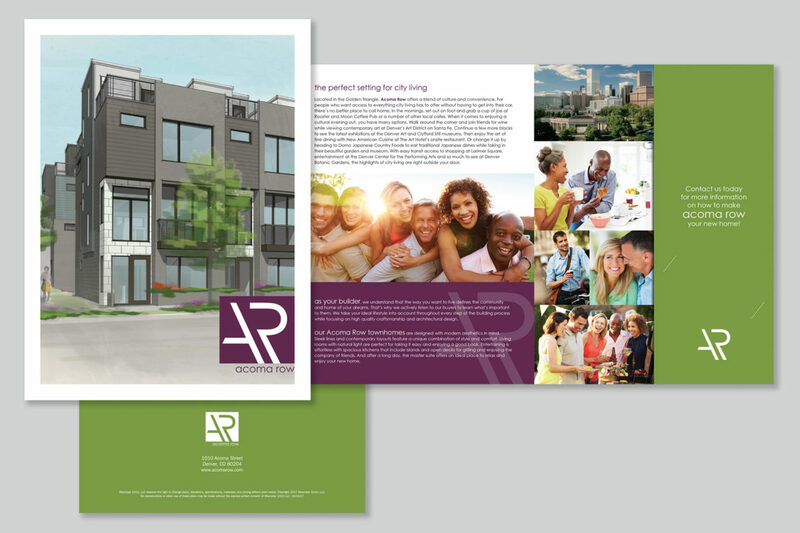 The prime location within the city of Denver allowed us to find lifestyle photos that were in line with the fun and active city dwellers that also want access to the adventures that the state has to offer.